Brian Hough is a partner in the firm, a member of the firm’s executive committee, and co-chair of its Criminal Law Practice Group. He is recognized by his peers for his exceptional proficiency in the legal field. 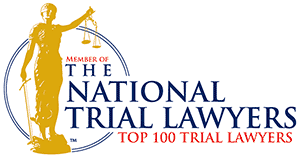 Mr. Hough is a member of the Top 100 National Trial Lawyers, he is rated “Superb” by Avvo, and Martindale-Hubbel Peer Review Ratings™ has rated him AV Preeminent®—the highest possible rating in both legal ability and ethical standards, reflecting the confidential opinions of the bar, and the judiciary. Mr. Hough was also rated 5.0 out of 5.0 in Martindale-Hubbell® Client Review Ratings. Mr. Hough demonstrates true professional distinction. Mr. Hough has been a trial lawyer since 1995. In addition to having tried over 70 cases, Mr. Hough has successfully argued cases before the Wisconsin Court of Appeals, the Wisconsin Supreme Court and the Seventh Circuit Court of Appeals. Mr. Hough has also been admitted to practice before the United States Supreme Court since 2008. As a criminal defense attorney, Mr. Hough handles all areas of criminal defense, from serious felonies to misdemeanors. Mr. Hough’s clients appreciate his passion and dedication to obtaining the best possible result. Mr. Hough’s business litigation practice focuses on claims based on contract, fair dealership law, non-competition agreements and defense of products liability. Mr. Hough has litigated on behalf of large corporations and small companies in Wisconsin, in other states pro hac vice, and in federal courts. Mr. Hough will aggressively protect your business interests effectively while striving to keep legal costs to a minimum. Admitted to practice in the State Courts of Wisconsin and Minnesota, Federal Courts for the Eastern and Western Districts of Wisconsin and for the District of Colorado, United States Court of Appeals for the Seventh Circuit, and United States Supreme Court. Sued dealership for breach of dealership agreement. Settled for over $100,000. Won case for grantor of dealership: Grantor was found not liable in federal lawsuit in which the dealer alleged three million dollars in lost profits. The dealer was found liable for over $200,000 in attorneys’ fees. Won trial for grantor of dealership: The owner of the dealership alleged he was not personally liable for the dealership’s corporate debts. Owner found personally responsible for $500,000. Won case for grantor of dealership: The dealer alleged the grantor breached the Wisconsin Fair Dealership Law, the dealership agreement, and the Implied Covenant of Good Faith and Fair Dealing. The grantor was found not liable. Sued grantor of dealership for unlawful termination of an implied exclusive distributorship and for violation of the Wisconsin Fair Dealership Law and obtained $350,000 settlement. Obtained dismissal of a drunk driving case in which the driver was observed driving erratically with a .26 blood alcohol level by proving that the arrest violated the driver’s Fourth Amendment right to be free from unreasonable seizures because the officer initiated the arrest in the driver’s backyard patio without a warrant, consent or exigent circumstances. Client charged with Aggravated Battery, Disorderly Conduct, Bail Jumping, and False Imprisonment. The individual punched a woman several times in the face, threw her through a glass door, and dragged her down the sidewalk by her hair. When she tried to flee in a car, the client threw the door open, pulling the door slightly off the hinges, and yanked the woman out of the moving car onto the pavement. Obtained “Not Guilty” jury verdict on all counts. Defended an individual who allegedly inflicted a near fatal stab wound to another person, and was charged with Attempted Homicide, Aggravated Battery, Armed Burglary and Reckless Endangerment. Negotiated dismissal of the Attempted Homicide, Aggravated Battery and Armed Burglary charges. At sentencing, no further jail was ordered. Defended individual who allegedly injected his friend with a fatal dose of heroin and was charged with First Degree Reckless Homicide. Presented forensic evidence which called into question the cause of death, which resulted in reduction of the homicide charge to simple delivery of a controlled substance. Defended an individual who was accused of an unprovoked attack on a popular college football player who was a Heisman Trophy candidate. Through plea negotiations, the client was given an opportunity for dismissal of the charges through a deferred prosecution agreement. Won a drunk driving jury trial in which the accused was a prominent law enforcement officer. The officer had a blood alcohol level of twice the legal limit. He was found not guilty. Successfully represented and obtained a deferred prosecution agreement in a high profile case where client was alleged to have assaulted a University of Wisconsin athlete. Obtained a “not guilty” verdict for a defendant who admitted that he drove drunk at over three times the legal limit and struck a pedestrian at a speed of 65 m.p.h. Without going into details, I contacted AXLEY to help w/ a misdemeanor driving offense. Atty Hough is a very personable, relateable, out-going and knowledgeable person. He is respectful, insightful and VERY helpful, positive & enthusiastic. When final meeting w/ Judge occurred, he showed he had done his HOMEWORK and came up with some very critical arguments to ensure I got the best possible outcome. I did research on chargers for services and Brian’s fee was VERY COMPETITIVE. Money well spent! !